Google has been collecting our WiFi access point (AP), or WiFi hotspots location for a long time. If you have a wireless network using a wireless router, you might want to check if Google has logged your WiFi location. Here I will introduce how to do it. First, we need to know how Google collect our wireless AP. Generally, Google has been using its street view car to detect and collect the WiFi hotspots. Google street view vehicles have been equipped with an antenna which can receive data broadcasted by WiFi AP; these data are then processed and sent to Google location server. However, under pressure from global governments, Google has stopped it and will not resume it anytime soon. Then Google turned to its mobile map application Google Maps. Due to its huge user bases, Google could easily collect such data. Whenever Google Maps is running, it will detect if the cell phone is connected to any wireless network and starts to collect and send the data back to Google. Second, we need to figure out what data Google collects. In general, the data Google are interested includes SSID, MAC address, signal strength, latitude and longitude etc. Google uses MAC address to identify each wireless AP as this address is unique. Latitude and longitude are used to determine the location of the wireless router. Now we know what data Google collects and how, we are able to check if Google has our WiFi location pinpointed. In fact, there are only two easy steps. 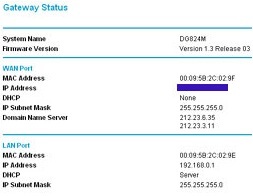 First, logon to your wireless router dashboard and find its MAC address. Take Netgear wireless router for example, you can find two MAC addresses, but you only need the WAN address, just copy it. Second, go visit this WiFi tracker, enter the MAC address you just found and hit check it. If your wireless router was logged by Google, then it will show its address, latitude, longitude and location on Google Maps. Otherwise, it will say Google is not spying on you.